If you have recently been involved in an auto accident, workplace incident or unfortunate mishap at home, you may be suffering from whiplash, back pain, headaches and other symptoms. Or, you may feel nothing at all. Either way, it is imperative that you get an evaluation from Dr. Goldman, our chiropractor in Medford. In the aftermath of an accident, you may be unable to turn your head or be suffering blinding headaches due to whiplash. You might also experience the shooting pains in your legs or severe backaches that often follow an injury to the lumbar spinal column. Here at Total Chiropractic Care and Wellness, we can evaluate your musculoskeletal system with great care to spot the precise cause of your pain or other symptoms. You may have a herniated disc pressing against a nerve, torn muscles, strained connective tissues, or all of the above. Once we have diagnosed the specific issue, we can prescribe chiropractic adjustment, massage therapy, spinal compression and other pain management treatment techniques to help you feel better and heal more quickly. What if you do not seem to be feeling any ill effects from your accident? You might be tempted to count yourself lucky and forget about it — but that could be a big mistake. Accident injuries do not always reveal themselves right away through acute pain or other red flags; in some cases, they may lurk undetected and untreated for weeks or months. During this time, scar tissue can build up around muscles and other tissues, limiting their mobility and ability to heal normally. If you schedule an evaluation right after your accident, we can detect injuries that you might not even be aware of, and that means we can treat them before painful complications set in. Play it safe and contact Dr. Goldman today for an appointment! 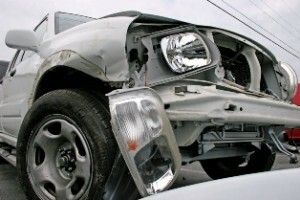 Have you suffered one or more car accident injuries in the past?